I was in the shower yesterday, much like everyday, thinking. I like showers. Long showers. It gives me time to relax, and think... JUST RELAX AND THINK. I don't have a ton of free time in my day, so the shower not only offers a chance to get clean, but one to, well, relax and think. That's nice, but I also suffer from a rare addiction to the iPhone game Bejeweled. Seeing as how I don't have a lot of free time in my day, I don't get to play a lot. You see where I'm going here? So like I was saying, yesterday, in the shower, I thought, "it would be pretty sweet if I could sit here, relax, think, and play bejeweled". 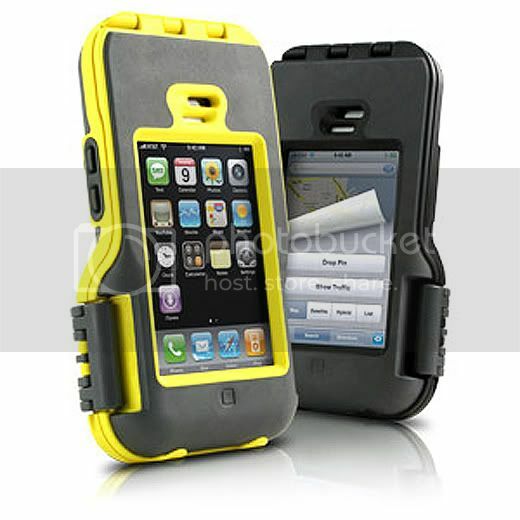 It was this very thought which led to my internet dig... "waterproof iPhone case". Ahhh, it's the little things in life. $70.00.